The Rainmaster Waterproof Dog Coats are lightweight, showerproof nylon outershell, machine washable, fleece lining underlay, adjustable girth strap, protects dogs coats, a size to fit all breeds. These are ideal raincoats for both small and large dogs - warm and waterproof and very affordable. 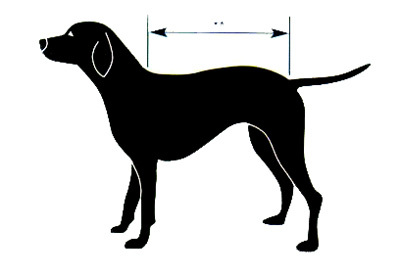 Available in 11 sizes, just use the size guide below to measure your dogs perfect fit. NOTE: These coats have been discontinued and are only available in limited sizes and numbers.